Clarence Seedorf has one of the most distinguished playing career out of any player in the world of football as the retired Dutchman has lifted just about every major club title there is to win and he has done it on numerous occasions with different teams. The former Ac.Milan player won the UEFA Champions League title with Ajax, Real Madrid and with Ac.Milan. He is the first and only player that has managed to do win the European piece of silverware with 3 distinct clubs. La Liga, Serie A, Eredivisie, UEFA Super Cup, these are just a few of the other titles that Seedorf has won throughout his career and the list goes on further and further. 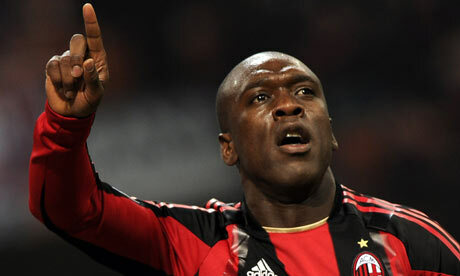 However, even a player as successful as Clarence Seedorf has his own regrets as there a number of things that he didn’t do during his extensive and prolific career which includes being able to perform in some of the biggest clubs in the world such as: Ac.Milan, Real Madrid and Ajax. “I was going to go from Sampdoria to Arsenal but then I went to Real Madrid. After Madrid, I talked with Manchester United and then Chelsea after Milan. But it never happened. You can’t have everything.” Clarence Seedorf said in a recent interview. Seedorf never got to perform with a club in the Premier League, however he might get the chance to coach a team in the top tier English League as there are rumors going on suggesting that the Dutchman is interested in coaching an English club but he hasn’t received any proper offers, he is currently the head coach of the 2nd tier club Shenzhen in China. Maybe if Seedorf is able to do a good job with Shenzhen and as his managerial career continues to grow, he could be offered with the chance to coach a club in the Premier League.